The wine at the Foxhead is just like the wine at St. Mary’s. At the Foxhead, I got a history the place and the owners from the small crew sitting at the bar, and I got directions to the haunted place in town where I should go. At St. Mary’s I got a dark bit of the gospel the priest wisely avoided preaching on, instead he told us we should notice God around us, fine reminder, and a view of their panoply of saints in their 150-year-old Irish/German sanctuary. Wine both places. The first time I came to Iowa, I was scared, and then delighted that there was nothing to be afraid of. The second time I came, my teacher told me I had already written a novel, and I should seek an agent. This time, I know both how delightful it is here, and how hard the work is. It is harder than you can think about without feeling a little sick. I know that although behind me is a great deal of rejection, there is a lot more ahead, too, and that is the way it is, not just for me, but for everyone, not just for writers, but for, you know, all of us, actually that is the best-case scenario. The river here just goes and goes. I have a river view, through a big window with a marble ledge where Maimonedes sits. I bought him here, at the junk shop between the Foxhead and St. Mary’s. He is home. He is sitting on the windowsill cross-legged and unresponsive when questioned about his homecoming. I keep hoping to catch the river stopped, taking a break, and every time I look, at noon, at seven, at two a.m., it is still on its way. 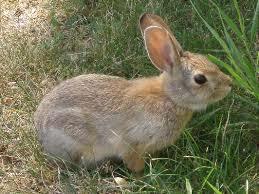 There are bunnies here who breathe quickly and have lopsided tails. There are chickadees who hop to half a roll and hop away when you get too close, they will come back in a second. The river is very fast and very high. I am sad I didn’t sell my last book, and sad that good things seem to take so much work, except when they don’t, like being here in this nice hotel in what I feel is the friendliest place on earth, to me and for me, with plenty of time to get done what needs to get done, including drinks at the Foxhead and noon mass. What is there to be sad about, then? A few things. Walking home from dinner with a friend, dinner with a friend so easy to find here, so nice, after time talking writing and writing time, so nice, on my way to do the night’s reading in my beautiful white hotel room, I saw a convertible with the top down go by and thought, I wish I could be driving a convertible today, that was so great, what could be better. My (former) convertible was at that moment in the parking garage half a block away. I am tired, that it is so much creative effort to make a new life, and I think of writing another book, the mountain of it, and how it might hurt at the end, it will hurt at the end, whether or not you sell it, you still must let it go on its way and that is hard, too, and it does make me feel a little sick. I meet with my teacher and he is encouraging and sympathetic. I tell him this is helpful, although it feels like he is saying what he is saying from the other side of the street, and I wish I felt like we were sitting at the same table which we are, in the back of a coffeehouse, in wooden chairs. Everyone is kind to me, including myself, as I eat good meals and walk and lie in sun doing nothing. And take myself to the Foxhead, and to St. Mary’s, where in a painting above the altar, Mary and Elizabeth meet, both pregnant, and both more than a little scared.